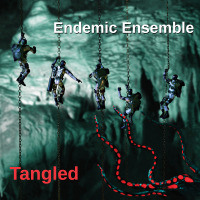 Notwithstanding a name that sounds like it could be contagious, the Endemic Ensemble is actually a commendable Seattle-based post-bop quintet whose second recording, Tangled, is packed to the brim with luminous melodies, splendid charts and engaging solos by all hands. While nominally a co-op group, the ensemble was founded in 2010 by bassist Steve Messick who shares composing / arranging credits with pianist David Franklin and baritone saxophonist Matso Limtiaco. 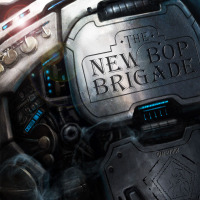 The other members are saxophonist Travis Ranney and drummer Christian Krehbiel. Unlike some sessions that start with a bang and end with a whimper, or vice versa, Tangled is consistently bright and engaging, from Messick's carefree "Sugar Ant" to Limtiaco's sauntering finale, "Retro." 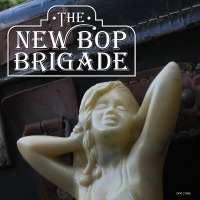 Besides "Sugar Ant," Messick wrote the "The Snort" and "Goodbye, Old Friend," Limtiaco the rhythmic "Change of Scenery" and irrepressible "Tolovana Stomp." Franklin composed the luminous "Maui Chimes," Latin-centered "Nassau Place" and the album's buoyant title song. Ranney plays tenor sax most of the way, soprano on "Change of Scenery," while Limtiaco swaps his plangent baritone for bass clarinet on "Goodbye, Old Friend," a waltz-like motif on which Franklin's expressive piano is given free rein. Ranney's tenor and Limtiaco's baritone blend seamlessly, and are deftly reinforced throughout by the ensemble's perceptive rhythm section. Franklin is an astute accompanist, Messick's resonant bass seals any gaps, and Krehbiel performs his timekeeping duties without stepping on anyone's toes. 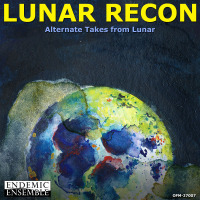 An admirable small-group session that pleases from end to end, as does the ensemble's earlier recording, Lunar, which is also warmly recommended. Track Listing: Sugar Ant; Tangled; The Snort; Change of Scenery; The Tolovana Stomp; Maui Chimes; Goodbye, Old Friend; Nassau Place; Retro. Personnel: Travis Ranney: soprano, alto, tenor sax; Matso Limtiaco: baritone sax, bass clarinet; David Franklin: piano; Steve Messick: bass; Christian Krehbiel: drums.